Get your 30 minutes in Ajman. This year, the Dubai Fitness Challenge is coming to Ajman. 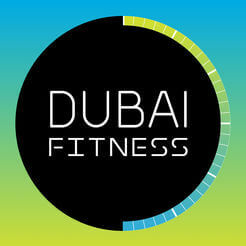 Join us all across the emirate for an incredible range of activities, including sunset street cycling, weight training and fat burning courses, martial arts sessions, running and jogging groups, yoga classes as well as the chance to practise your golf swing. Grab your helmet, get the bike out and let’s get cycling into the sunset with the Ajman Fitness Village cycle. Take to the safe streets of Ajman with 100 other cyclists. When: Sundays (4, 11 and 18 November) and Tuesdays (6, 13 and 20 November), from 17:00 – 18:00. Whether you’re a professional or looking to try something new, why not head down to Ajman Sports Park for an exclusive martial arts session. With experienced coaches and welcoming groups, you might just discover a new love for this iconic sport. When: Thursday, 8 November from 19:00 – 20:00. From 5km runs to half marathons, anyone can be a runner. This DFC, perfect your posture, stride or times with runs. Get those laces tied, water bottles ready and get moving. Find a passion for stretching, poses and more with free yoga sessions in the park. From warrior poses to injury rehabilitation, this class is for anyone and everyone. Enjoy a relaxing paddle across the calm waters of the Al Zorah Water Activity Centre. Book your 30-minute session to get a different sport in this DFC. Build muscle, endurance and a passion for general fitness with this weekly training session, taking place in the Ajman Sports Park. From increasing your cardio fitness to strengthening the immune system, this session is suitable for anyone and everyone looking to get fit this DFC. When: 3 November from 19:00 – 20:00. 11 – 17 November from 17:00 – 18:00. Perfect your swing on picturesque greens, impeccable holes and one-of-a-kind watercourses in this one hour exclusive DFC Golf Tour & Practice. For first the 15 participants only. A high energy class using fast-paced movements, sequences and steps; it’s a great fat burning activity while improving stamina and muscle tone. Variations include the use of the stepper and light dumbbells to make it a total body workout. Head to one of our aerobics classes and work out to your favorite songs. Are you ready to dance yourself into shape? That is exactly what Zumba is all about. It’s an exhilarating, effective, easy-to-follow, Latin-inspired, calorie-burning dance fitness-party, that’s moving millions of people toward joy and health. If you are a football fan or have a talent and passion for the game, join us each Sunday, Tuesday and Thursday for a fun game or two. Enjoy some family time with horseback riding. Embrace the rural and desert areas surrounding the Ajman Equestrian Club, for the chance to be closer to nature, whilst burning a few calories too. Each class has 7 participants only. Showcase your talent at the Flyboard race in Ajman and experience the great outdoor weather while getting in your 30-minutes too. Witness the exhilarating races at Ajman Corniche – a unique experience for everyone to enjoy. The challenge will be held twice a week on Thursdays and Fridays, with teams of 2 players. Enjoy the fun atmosphere in the stadium dedicated for this event, with a special gallery for fans. Bring the kids and enjoy the fun at AlHumaidiya Street in Ajman City, with sports and fitness activities to get everyone active this DFC.